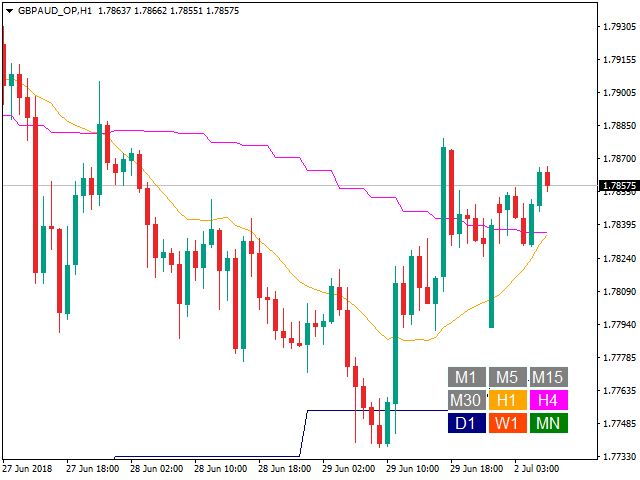 This indicator displays a set of moving average lines across all higher timeframes. 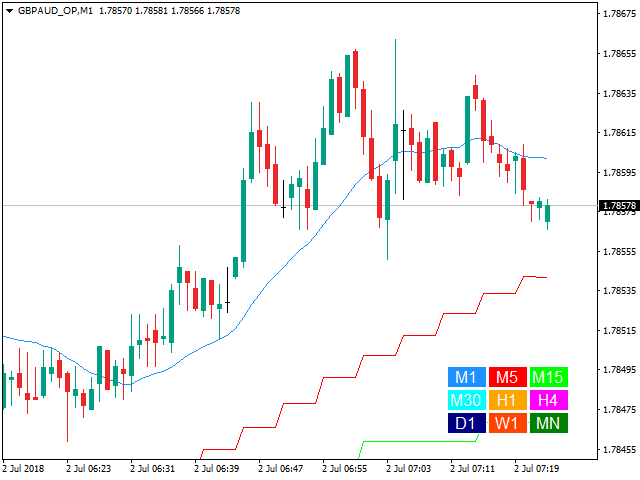 The indicator can be installed on any financial instrument and any timeframe. 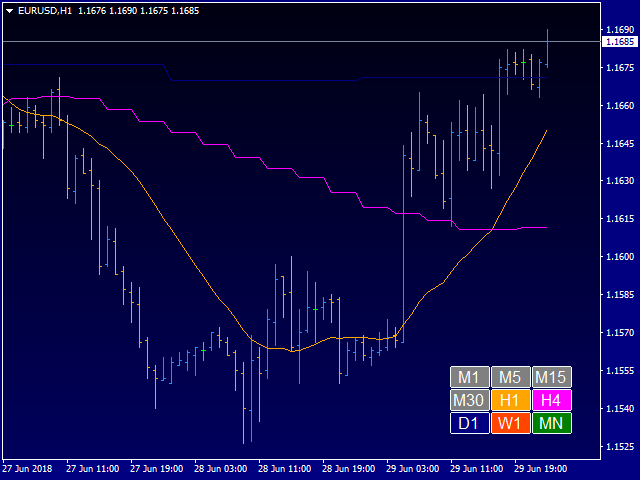 For the analysis of the lines, a panel with timeframe values is provided in the lower right corner. 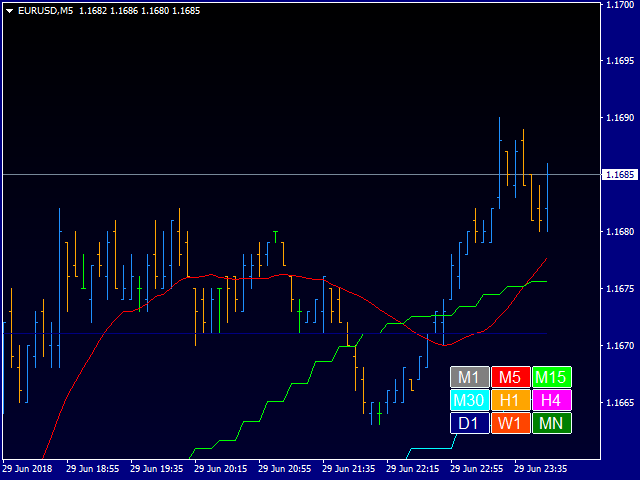 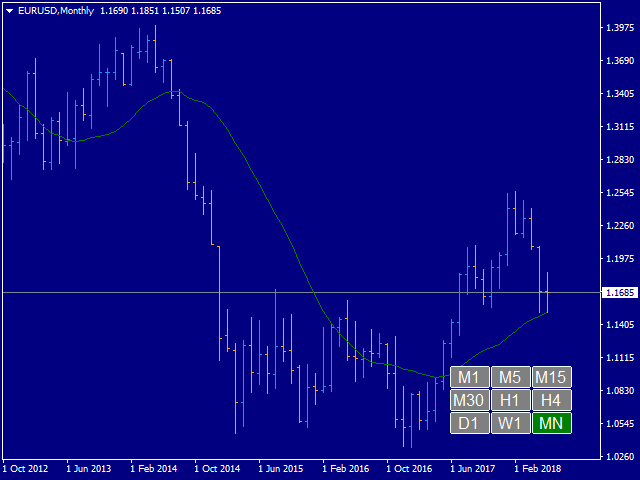 Using the panel, you can easily enable/disable the display of the MA line of any higher timeframe. 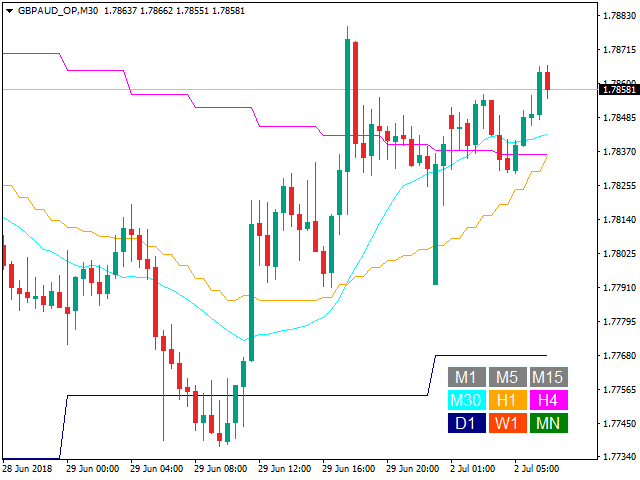 This allows a more thorough analysis of the market situation. 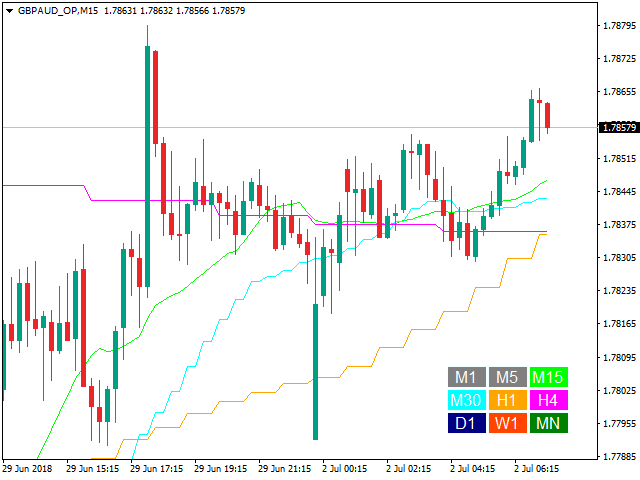 The color of the button matches the color of the moving average line. 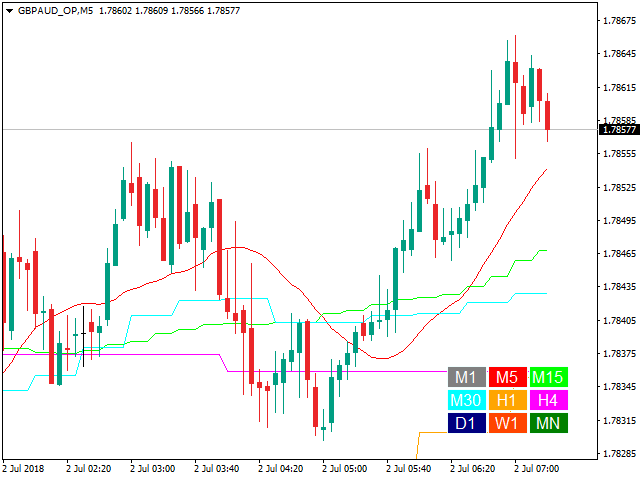 "___| Settings of the main indicator "
Specify the MA calculation period and its parameters, and the indicator will show you MA on all higher periods. Alternatively, you can set the display of MA of required timeframes.